Designated the “Oldest Continuously Operating Store in the United States” in 2007 by Rhode Island officials, Gray’s Store was forced to close after the unexpected death of its owner Grayton Waite in 2012. The store was first established by Samuel Church in 1788, and the Gray Family purchased it in 1879. Grayton Waite was the sixth generation of that family to own and operate the store. His son Jonah is now the seventh-generation owner of the store and he hopes to reopen the business in a way that will benefit the community. Gray’s Store was also the site of the first post office in all of Little Compton. It remained the only post office from 1804 until a second office was established on the Commons in 1830. Both Manchester’s Store and Gray’s Store had post offices inside them, with the official post office rotating between the stores depending on which political party was in power and had the ability to appoint a new postmaster. Mary Moniz ran the third Adamsville Post Office from a small building on Crandall Road built on family land. The fourth post office, pictured here and still in use today on Crandall Road, was built in the 1950s by George Carr, the Postmaster at the time. Interior of Gray's Store : This photo from the early 1900s depicts the interior of Gray's Store. Included in the photo are a number of members of the Gray family who have owned and operated the store since 1879. 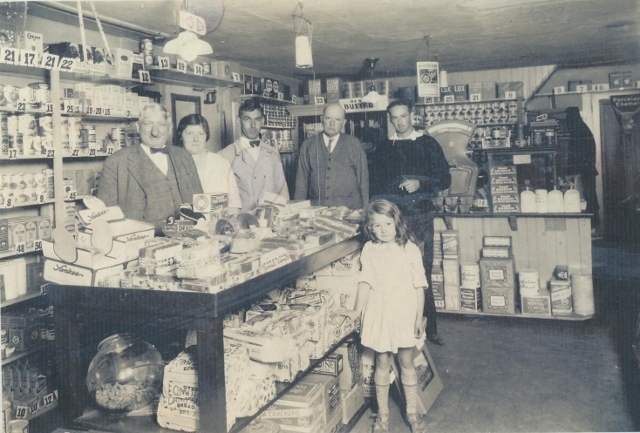 The young girl in the center of the photo is Mille Hart Waite, the mother of Grayton Waite, who operated the store until the time of his death in 2012. 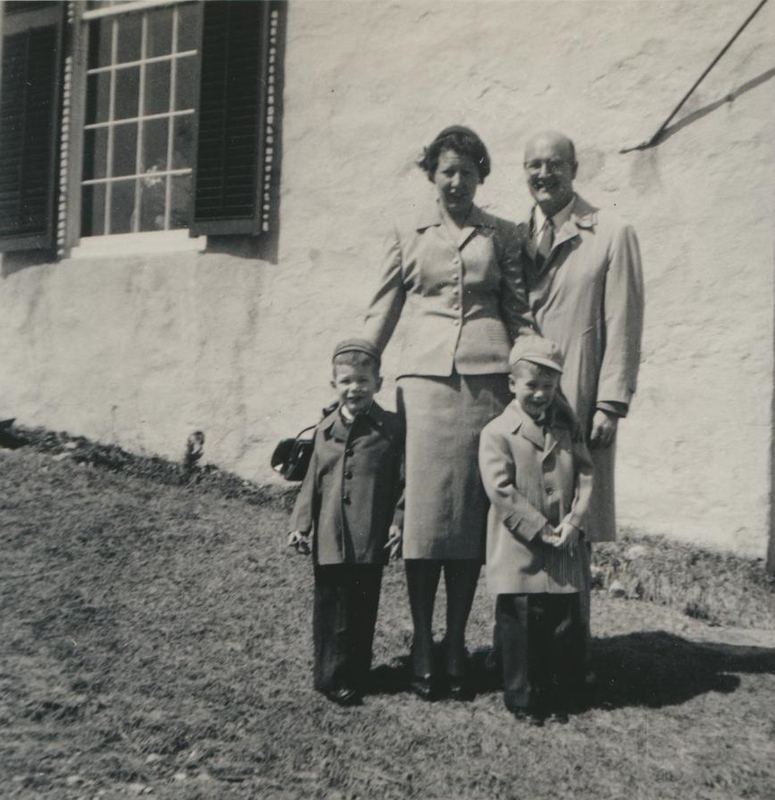 Waite Family : Millie and Leonard Waite can be seen here standing outside with their sons, Gordon and Grayton -- the fifth and sixth generation owners of Gray's Store. 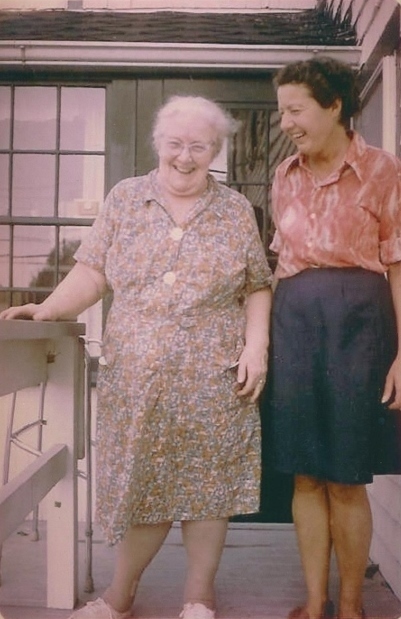 Marion Hart & Millie Waite : Marion Hart poses here with her daughter, Millie Hart Waite. 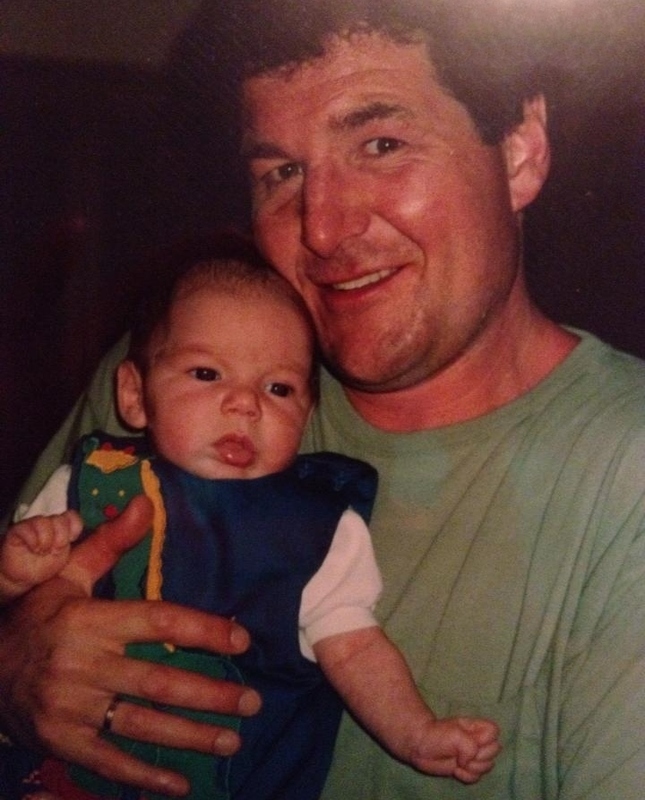 Grayton and Jonah Waite : Sixth-generation owner of the Gray's Store, Grayton Waite, is holding his young son Jonah. With his father's death in 2012, Jonah Waite became the seventh-generation owner of this longstanding Adamsville institution. , “Gray's Store,” Rhode Tour, accessed April 22, 2019, http://rhodetour.org/items/show/122.